Steve Horowitz, best known for his original soundtrack to the Academy Award nominated film, “Super Size Me”, has also worked extensively on literally hundreds of games in a variety of formats. His revolutionary work in interactive entertainment has garnered him Grammy, Webby and BDA awards. Scott Looney has been teaching at the Academy of Art University in San Francisco since 2005. He pioneered the University’s Graduate and Online Web/New Media Department Audio Curriculum and is now teaching classes in the Music and Sound Production for Visual Media (MUS) Department. This course covers not only game audio, but also a little bit of gaming history. It offers an overview of what should be considered and not how to produce the perfect game score. There's plenty of historical and theoretical background to get motivated why game audio can be your step into business. Great!! 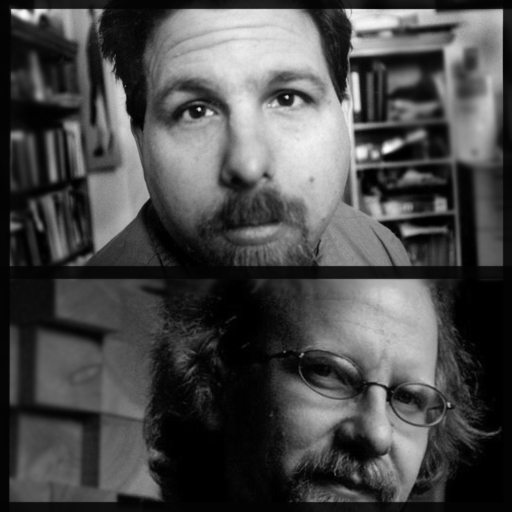 Steve Horowitz & Scott Looney remove the chains from the doors of game audio, revealing the inner works and potentials that exist. In one phrase, "Eye opener" Ty, MPV! "Game Audio 102 - Implementing Audio in Unity" is a course that can jump start you right away into applying techniques placing audio inside your video games, but it's not going to make it easy on you if you do not have some prior experience with the Unity game engine on a basic level at least. If you are completely unfamiliar with scripting and/or computer programming, you might be in a bit of a struggle understanding how sound works and gets triggered. Unity is an amazing tool and has one of the most comprehensive workflows when it comes to building a video game from scratch. All the credit can be given to the programmers and designers of the platform. Scripts and sounds are being dragged and dropped to the places where each component is needed. The class shows you plenty of already done solutions by taking you over a sample game level needing sound of different kind and behavior. Unfortunately the information is not presented in an easy to digest fashion and mostly is due to the effort to explain complex algorithms and principles down to a basic level. The terminology most of the time is handled right, but at times lacks clarity or is totally omitted and replaced by every day lingo. What makes it more confusing is the fact that the titles of half of the videos do not correspond to what is being said. It starts happening somewhere half way, and I am sure it's just a basic editorial and publishing issue at this time. With that aside, this is a great course and it will make you "hear" your game on the interactive level that every vieo game needs to be. Definitely put your thinking cap on and it's best recommended to have Unity on your computer and some sound effects ready, which is suggested in the beginning of the class. For more elegant and efficient implementation of sound into games I recommend learning FMOD as a stand alone application that can be made to interact with Unity in real time. 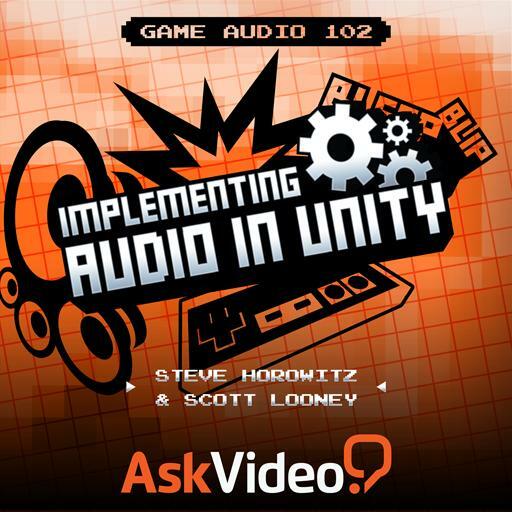 Still this course will teach you how Unity itself deals with sound and the specifics of it. 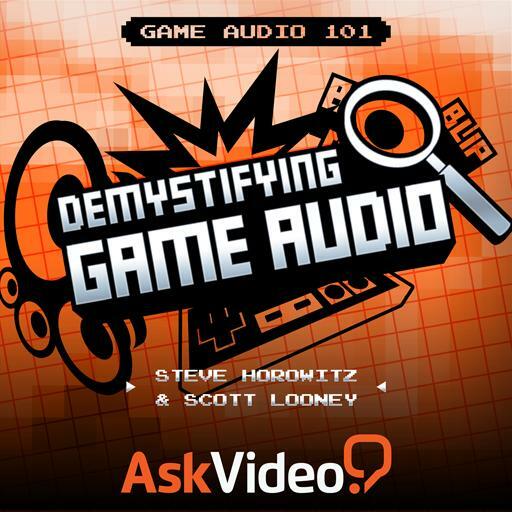 "Game Audio 101 - Demystifying Game Audio" is a great introduction into the world of audio for the gaming industry. It covers variety of topics from some history and background, the way sound works in games and the challenges to be considered when it comes to memory usage. Also the different roles and positions and who is who in a typical game production team, all of this definitely needed information if you want to know how it all works and one day maybe be part of it. For the professional music composer who so far only had to deal with "linear media" such as film or television, this course will be very informative too since it shows how different the planning and implementation of a score for video games is. The whole course is going to make you feel like you are in a class room, given the fact that it's all Powerpoint based presentation. Lots of useful material is covered here for variety of audiences. Truly a 101 course. great course in audio for gaming. At the end of this course i will be watching more video about this & hope that in the future more will come. As a music composer, i find this really interesting. Would love to do a scoring on a game one day in the future. A quick question though, it unrelated to the topic but could you guys do a auto hide on the player because sometimes when in full screen some of the words at the bottom gets cut off. hope you fix it. "Thanks & Peace"
Great 101. Ideal way to show people the difference between Game Audio and 2D Media Sound. Good intro into styles/formats/roles etc. that you'll need to know to get involved in the game audio world. Looking forward to the next in the series. Great course!! Interesting facts and theory about how the gaming industry works with music producers, as well as tips and tricks that everyone needs to know!